Formed in January 2006, FloraClay was initially set up with the intention of creating unique, handcrafted floral masterpieces for the local market. More durable than natural flowers and more life-like than paper/cloth alternatives, these clay creations gained their own dedicated followings, for wedding decorations and among those open to fresh, alternative new gift ideas. 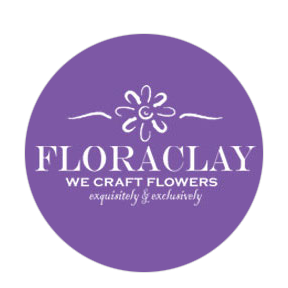 Recognising that a demand existed, FloraClay started teaching ClayCraft to the general public in January 2012.